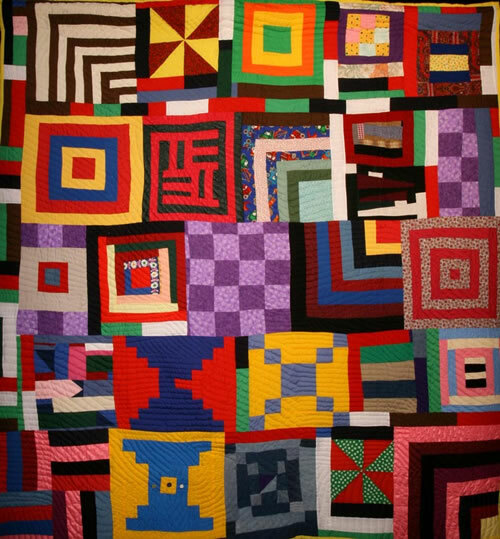 In 2002 the widely acclaimed touring exhibition The Quilts of Gee’s Bend brought to the attention of the art world the bold, improvisational quilts made by generations of women from the rural community of Gee’s Bend, Alabama. Less well known are a series of limited-edition prints made by four Gee’s Bend artists between 2005 and 2014: Louisiana P. Bendolph (b. 1960), Mary Lee Bendolph (b. 1935), Loretta Bennett (b. 1960), and Loretta Pettway (b. 1942). These prints capture the distinctive design aesthetic of the individual quiltmakers, a connection that can be appreciated only when the prints and quilts are viewed together. The Sheldon Museum of Art is located at 12th and R Streets on the University of Nebraska-Lincoln campus.